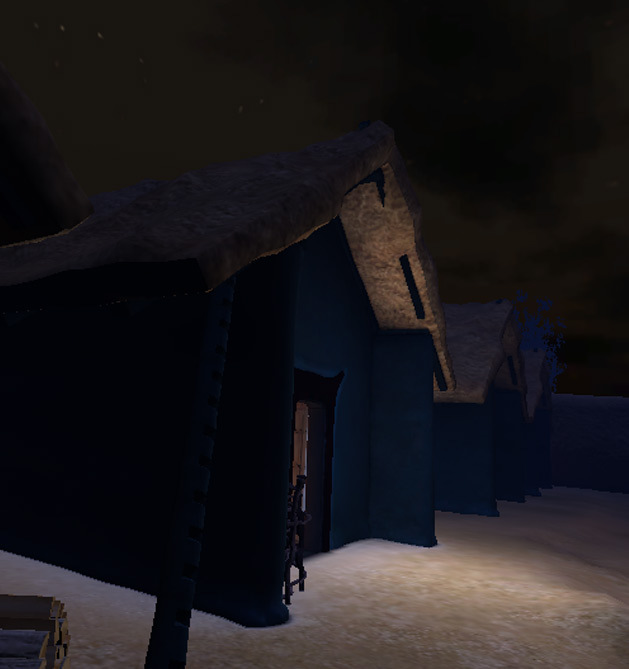 You have traveled even further back in time and are now in the 5th millennium B.C., in a fortified Chalcolithic village surrounded by a ditch and a palisade. 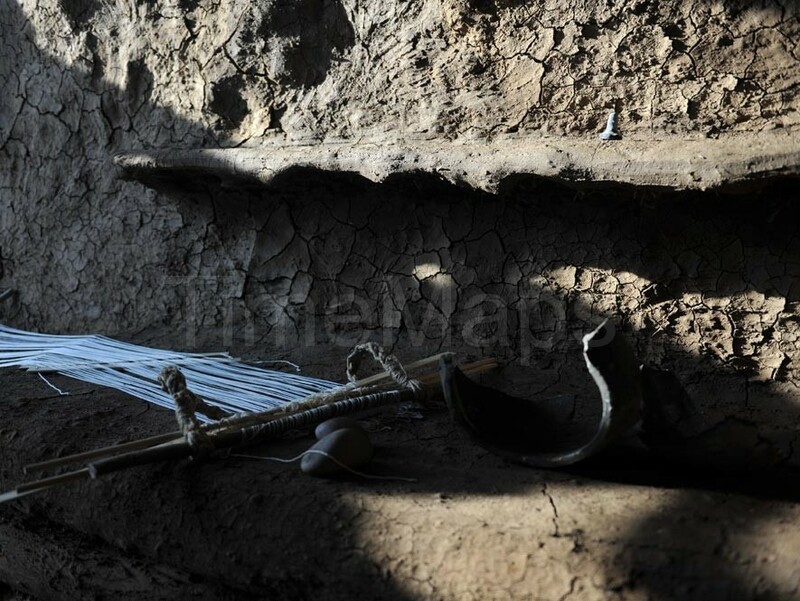 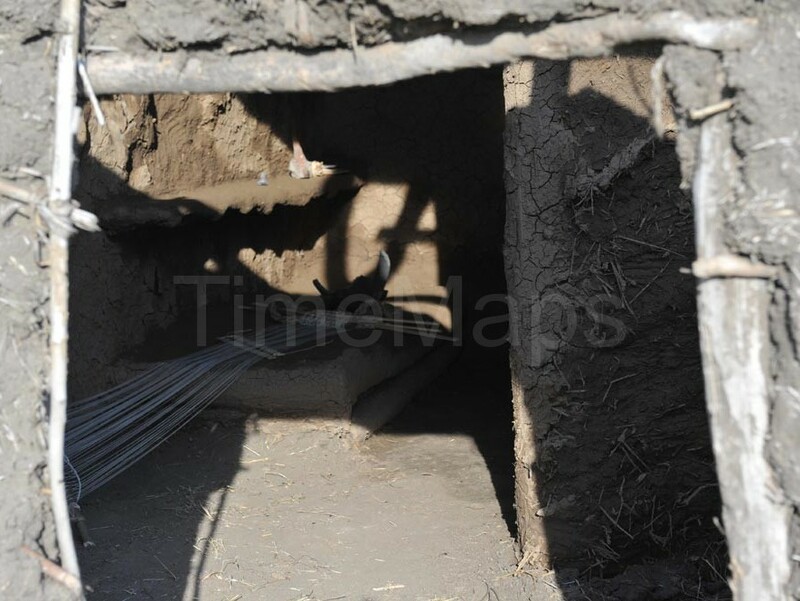 Houses are made of wattle and daub and are painted and decorated with textiles. 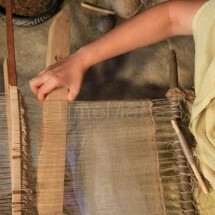 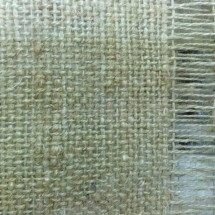 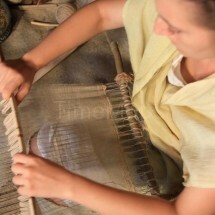 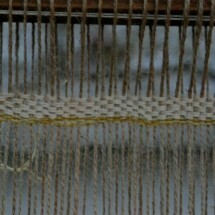 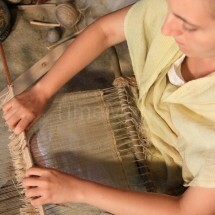 You are invited to visit one of them to watch a scene of prehistoric daily life: the weaving on a waist loom.